Text: March 7th. — At Drury Lane, and saw Kean for the first time. He played Richard, I believe, better than any man I ever saw; yet my expectations were pitched too high, and I had not the pleasure I expected. The expression of malignant joy is the one in which he surpasses all men I have ever seen. And his most flagrant defect is want of dignity. 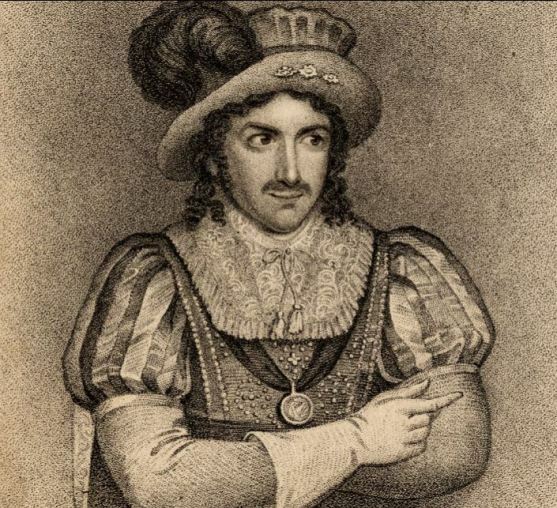 His face is finely expressive, though his mouth is not handsome, and he projects his lower lip ungracefully; yet it is finely suited to Richard. He gratified my eye more than my ear. His action very often was that of Kemble, and this was not the worst of his performance; but it detracts from his boasted originality. His declamation is very unpleasant, but my ear may in time be reconciled to it, as the palate is to new cheese and tea. It often reminds me of Blanchard’s. His speech is not fluent, and his words and syllables are too distinctly separated. His finest scene was with Lady Anne, and his mode of lifting up her veil to watch her countenance was exquisite. The concluding scene was unequal to my expectation, though the fencing was elegant, and his sudden death-fall was shockingly real. But he should have lain still. Why does he rise, or awake rather, to repeat the spurious lines? He did not often excite a strong persuasion of the truth of his acting, and the applause he received was not very great. Mrs. Glover had infinitely more in the pathetic scene in which she, as Queen Elizabeth, parts from her children. To recur to Kean, I do not think he will retain all his popularity, but he may learn to deserve it better, though I think he will never be qualified for heroic parts. He wants a commanding figure and a powerful voice. His greatest excellences are a fine pantomimic face and remarkable agility. Comments: Henry Crabb Robinson (1775-1867) was an English lawyer and diarist, whose published journals document his acquaintance with literary figures of the period and refer regularly to theatre productions that he saw. 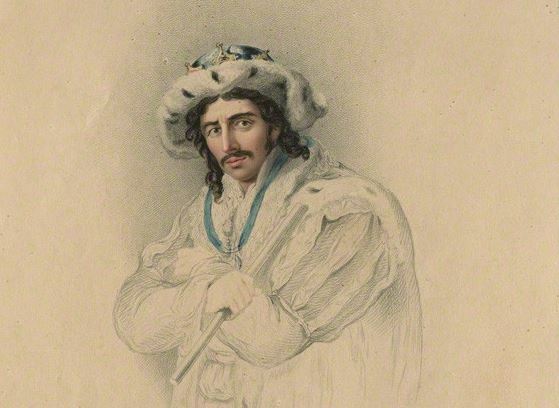 Edmund Kean (1787-1833) first came to general attention, in January 1814 playing Shylock in The Merchant of Venice at Drury Lane, which was followed by Gloucester in Richard III. His visceral performances excited huge audience enthusiasm and established his reputation. Queen Elizabeth was played by Julia Glover.